Well here it is, the moment you’ve been waiting for since Disney bought Lucasfilm and announced there will be more Star Wars movies. We’re not talking about any official plot details or looks at the movie or anything like that, but now we do know what the J.J. Abrams-directed film is subtitled. 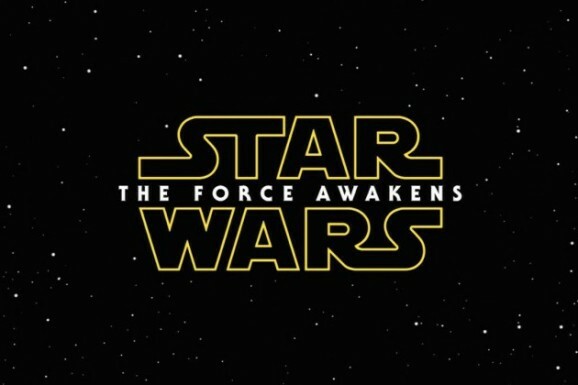 Meet Star Wars: Episode VII—The Force Awakens. This is…a title. To be honest, I don’t have particularly strong feelings on it either way, it’s just kind of bland. It’s also a serious departure from the super dramatic monikers like The Empire Strikes Back, The Phantom Menace, and Revenge of the Sith. Then again, Return of the Jedi isn’t the liveliest title ever. I have to say it’s better than The Ancient Fear, which was rumored to be the working title a while back. It’s nostalgic, and, given that it’s been 30 plus years since Jedi and the Force has been keeping a low profile, the title makes sense, but it’s not one that’s going to get you terribly excited. For some reason that I can’t quite put my finger on, The Force Awakens sounds like the title of one of the books in the Expanded Universe (maybe one with romance novel connotations). There’s a pulpy feel to the name, and maybe that’s what they’re going for, hearkening back to the serial roots of the franchise. 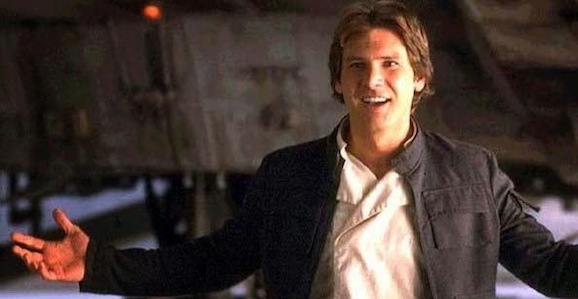 There have been rumors that we could see trailer for The Force Awakens as early as the end of the year. Some have speculated that it could arrive with The Hobbit: Battle of the Five Armies in mid-December (talk about a franchise with title issues). We’ll have to wait and see if that materializes, but it is also said to feature new music from John Williams, so that’s something to look forward to. Starring Harrison Ford, Carrie Fisher, Mark Hamill, John Boyega, Daisy Ridley, Oscar Isaac, Domhnall Gleeson, Max Von Sydow, Andy Serkis, Gwendoline Christie, Lupita Nyong’o, and many more, Star Wars: The Force Awakens hits theaters December 18, 2015, a little over 400 days from now. What do you think of this title? Are you in or out? Love it or hate it? Does it change the way you feel about this movie one iota? Sound off below. That is very, very true. Genisys just seems silly, this like there isn’t even a name there, it’s about as exciting as Star Wars: Episode VII. This sounds more like a prequl to the force unleashed video game series. As long as it keeps to some of the core values most importantly big sets over big effects they can call it Luke Skywalkers tea party for all I care. Can we please star lobbying for them to change the name to “Star Wars: Luke Skywalker Tea Party” please? I like the name. Sounds like the beginning of a new dynasty. A little dry, but at least it doesn’t sound “bad”. I get that it’s a mouthful, but kind of do to. I’m hoping that in the opening title cards at least they still use the “Episode VII.” We’ll find out in around 400 days.